Standard and Banner Ads include Social Media Promotion. Not valid for "Standard-Local" Ads. Discounts available for annual promotions. A contract is not necessary to advertise on SSTLC, however contracts are required to lock in discount advertising rates. Failure to pay for your listing by the due date will result in immediate removal of your advertisement. Nonprofit organizations save 50% off all available advertising options. Annual. Advertise your business on the Local Business page. Dimensions 250 x 267 pxl. Ad will open up to larger size when clicked on, or choose to link to your website. $150/year. Does NOT include website Ad. Business will be promoted on Facebook and one other social media website (Instagram, Twitter, or Pinterest (will be determined by nature of business)) 2x/week. Multiple images allowed per month. $100/month. 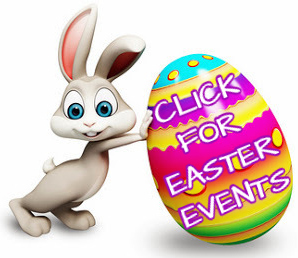 Listed an event on SupportStLucieCounty.com and want to add the event flyer to make your event stand out? Submit your event flyer! Flyer will be displayed on related web page only (web page where event details have been posted). Posted date may not exceed 30 days prior to event date (including weekends). Revisions not included. $50/event. Standard Ad without Ad Design, or Camp Flyer. 300 x 250 pxl, will link to company website or larger flyer. One revision allowed per month. Ad will be posted on three Kid's Summertime frequently visited pages on SupportStLucieCounty.com. $200/month. Standard Ad with Ad Design. 300 x 250 pxl. One revision allowed per month. $275 for first month, $199/month after. Standard Ad without Ad Design. 300 x 250 pxl. One revision allowed per month. Ad will be posted on five frequently visited pages of SupportStLucieCounty.com. $199/month. children would be listed on the "Kids" page). $99/month. Front Page Banner Ad with FREE Ad Design. Includes additional banner ad on one related web page. 728 x 90 pxl. One revision allowed per month. $225/month. From business cards, flyers, brochures, mugs or koozies. Allow us to design your company logo or marketing materials. Whether you print with a site like Vistaprint or take our design to your local printer, we can design your products in high def images to their size specifications.